In the development of automotive industry, the demand for plastic parts is increasing day by day, because the application of automotive construction to plastic parts is very high, that is to say, the quality of plastic parts has a huge role in promoting the development and construction of the automotive industry, which requires the production of plastic parts in need of quality assurance, and determines the quality of plastic parts. It is the mold. There are not a few cases that the plastic parts produced by the mold cause losses in various fields in the application process. 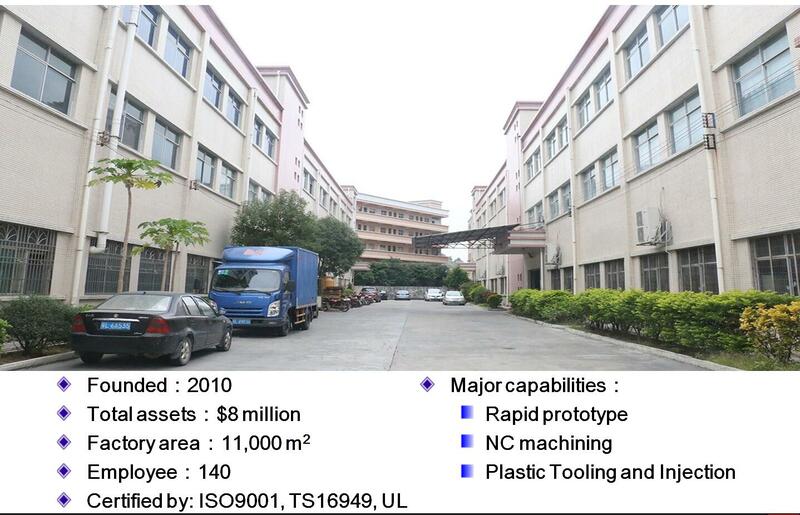 Therefore, it is very helpful to the economic development of our country to study the mold for the production of plastic parts in order to improve the quality and efficiency of the plastic parts. We all know that automotive are very dependent on the application of plastic parts. At the same time, automotive products are constantly updated. Only by grasping the key and difficult points in the production of plastic parts, can the mold production meet the development needs of the automotive industry. 1.1 plastic product design is the key. Plastic products are absolutely a key link in the design of injection mold. The design of plastic products, its requirement is to simplify the model of plastic products as much as possible, especially the design of depression and undulation should not appear in the design of plastic products. The requirement of simplicity in design of plastic products is a general direction, because there are many small links in the design of plastic products. Simplified design is the requirement of every fine links of plastic products. On the basis of this requirement, the basic requirements of each link can be met, such as the design of thin and thick injection molds. Evolution should be made at the same time as possible to achieve uniform die wall thickness, avoid inappropriate thickness uneven glue position. The stiffness and hardness also need to meet the standards, which is a key link to ensure the quality of plastic parts. The inside and outside sides of plastic products should have the release angle that meets the standard of release, which is more conducive to mold release. In order to make its appearance smooth and free from friction, plastic products are streamlined and smooth as far as possible in radian and texture. Plastic products have sharp edges and corners, these corners are rounded, for the radian problem in the plastic products on both sides of the circumferential angle, radian tension should be greater, this is very necessary. In the strength and hardness to reach a certain standard, otherwise can not stand friction, will affect the quality of construction, hardness requirements can not be lower than HRC35, very special requirements in the hardness of 50-52 HRC or more, the product after molding to make its surface gloss, can be achieved by polishing, in addition to the need for polishing is also In the cavity part, the sample of the product can not deviate from the requirements of the product, and then through management and construction technology to improve production efficiency and save costs. The method of determining the number of cavities can be used by all the injection machines, and then the number of cavities can be determined by the amount of injection and the rated clamping force of the injection machine. Other factors, such as molding process, precision and maintenance, as well as economy, are also needed in the process of cavity number. The method of determining fractal line can be determined according to the shape of the part. The function of fractal line is to divide the product into two parts, and the existence of the boundary line is the same. The two parts are located in the fixed mold, and the other part is in the dynamic mold. The fractal line can be used to obtain the parting surface of the mold, and the parting surface of the mold can be determined by scanning the fractal line around the two molds. Step parting surface, in the face of step parting surface generally need to be 3-5 degrees of interpolation angle, angle can not be less than 1.5 degrees. Sometimes more than one step surface appears in a parting surface. In this case, the angle A is acted at the same angle, which makes the machining easier and more convenient. The parting surface of the mold needs special attention, that is, to ensure that each surface has a sealing distance, but also need to ensure the effectiveness of the distance, so that plastic melt can not easily flow out during the injection process, the name of sealing distance is due to this efficiency and the corresponding, can block the material. In the process of creating a parting surface, if a parting surface, such as a curved surface or an inclined surface, or a step, has a large height difference, whether it is one or more, it must be set a reference plane, so that it can be easily processed and measured. Molding plastics need to be retained on the semi-mold after the opening of the mold, of course, this is in the case of a push-out mechanism as a prerequisite, the general appearance of the push-out mechanism semi-mold is a dynamic mold, only in very special cases appear in the push-out mechanism semi-mold on the fixed mold. Some plastic products will be attached with metal inserts, because inserts do not have the function of shrinkage wrapping punch, shape cavity design is usually on the side of the moving die, if not set, the opening of the mold will make the plastic products in the fixed mold area, once this happens, demoulding will become very difficult. If the coaxiality structure is formed on both sides of the two models, the accuracy of the coaxiality can not be guaranteed. This situation is mostly due to manufacturing errors and assembly errors. There is a certain requirement for the locking of the mold, which must be met. In order to meet the requirement, plastics are usually placed at the closure of the dynamic quantitative mold.